The new, luxurious Flores mobile homes have been placed in the spring of 2010 and are both practical and cosy. 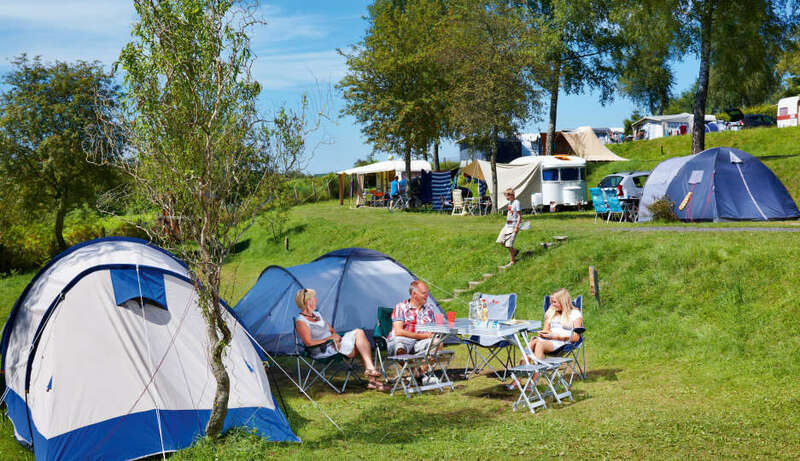 Ardennen Camping Bertrix offers these rental mobile homes for both 4 as 6 persons. Spacious living area with seating. Some of the Flores mobile homes have a television. Two bedrooms with extra-large beds. Double bed 2m by 1.6m. Two single beds of 1.90, by 0.8m. It’s possible to have a baby-bed placed in the bedroom. Upon renting a mobile home you’ll receive a bed linen pack (€7,00 p.p.). so you don’t have to bring your own bed linen; the bedlinnen will be placed in your accommodation before you arrive. You can also rent a kitchen package or a towel package. For our youngest guests you can rent a baby package consisting out of a bed (excluding linen/blankets), a bath and a chair. No matter which type of mobile home you want to rent on Ardennes Campsite Bertrix, you’ll choose for fun and comfort on our campsite!